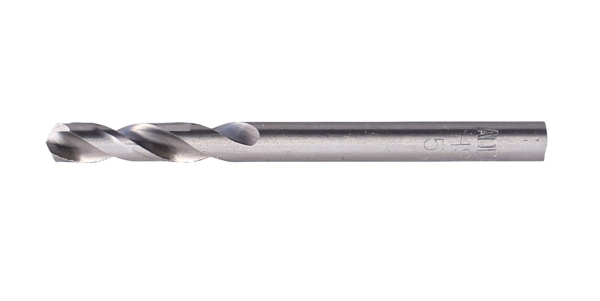 HSS-G Drill Bits – Stub for drilling carbon and alloy steel, cast iron, non-ferrous metal and plastics. They have a 135°split point tip for spot drilling without pre-centring plus their shorter length provide greater resistance to breakage. Made from solid material to DIN1897 standards. Available in sizes of 3.2mm up to 4.9mm. Available in sizes of 3.2mm up to 4.9mm.